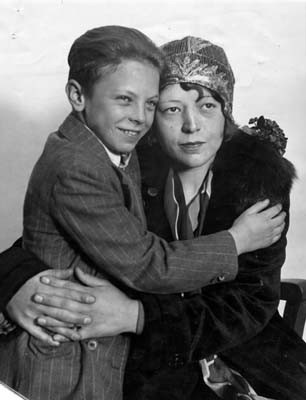 On a very sunny afternoon on 10th March 1928, 9-year-old Walter Collins mysteriously disappeared after his mother, Christine, a telephone operator, gave him a dime to spend on admission to the theater near their Mt. Washington area home. The nation rallied behind the grieving mother and her missing boy while the local police dragged nearby Lincoln Park lake and launched a national campaign to find Walter. Countless tips on Walter’s location led to dead-ends. He was allegedly spotted as far north as San Francisco and Oakland. One reported sighting was at a Glendale gas station in the back seat of a car, wrapped in newspaper with only his head showing. The station owner described the driver as a “foreign-looking man, probably an Italian,” accompanied by a woman. 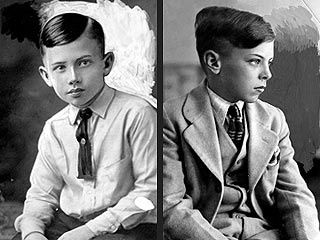 The boy’s father, Walter J.S. Collins, who was serving time in prison for robbery, believed that former inmates out for revenge against him may have kidnapped his son, though there were no witnesses and no proof that that had occurred. “What are you trying to do, make fools out of us all? Or are you trying to shirk your duty as a mother and have the state provide for your son? You are the most cruel-hearted woman I’ve ever known. You are a . . . fool!” Jones allegedly told Collins. Resolved to bend her to his will–and the department’s convenience–Jones had the distraught mother committed to Los Angeles County General Hospital’s psychiatric ward for evaluation.